Note: due to overwhelming demand in the aerospace industry, RATTWORKS rocket motors & reloads indefinitely out of production. Famed Soviet rocket scientist Sergei P. Korolev said that anybody can build complicated things - but the genius of design lies in simplicity. And that's the philosophy at RATTworks (Rockets All The Time). RATTworks employs the KISS system ("Keep It Simple, Stupid!") to provide simple hybrid and liquid rocket motors to the hobby rocket community. Our hybrid designs have no moving mechanical parts. RATTworks hybrid motors incorporate a mono-tube, floating injector bulkhead design with the Urbanski-Colburn valve (a.k.a. "U/C valve") and are easy to assemble and fly. RATTworks also offers a simple "tribrid" liquid motor that is similar to the RATT hybrid but burns denatured alcohol as the main fuel component. The fuel piston is the only moving mechanical part in the tribrid design. For hobbyists seeking to avoid the headaches of complex liquid motors the RATTworks tribrid is the way to go! Launched in 1996 - coincidentally the Chinese Year of the Rat - RATTworks is a subsidiary of Monterey Machine Products, an aerospace and aircraft hardware manufacturer since 1953. 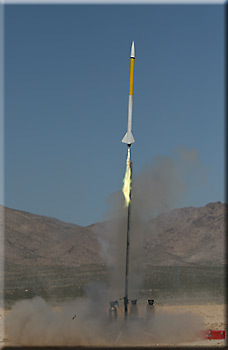 Visit www.montereymachine.net for custom rocket products.